With our early arrival of spring/summer weather, it's got me longing for some really cute shorts. I have found so many online that I love, but am not so crazy about the prices. 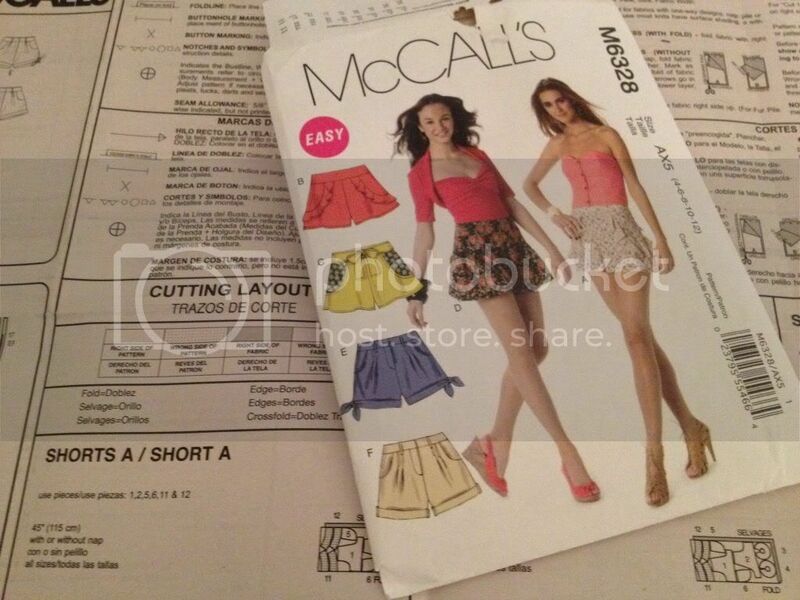 I got this (supposedly) easy pattern on sale at Hobby Lobby last week and have started making the first pair. We'll see how they turn out, and hopefully I'll get some really fun shorts at a great price. 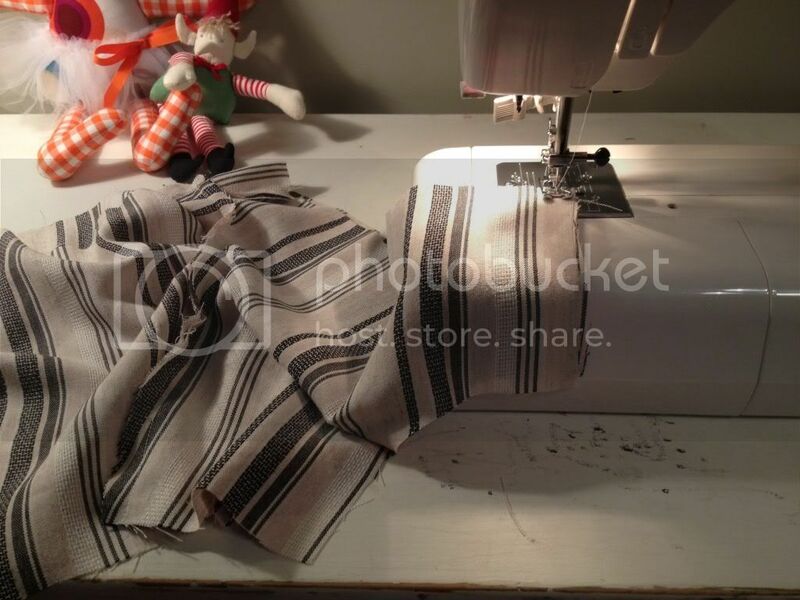 I'm using a striped linen fabric. So far it seems really slippery and somewhat difficult to work with. My only hope is that it'll be really forgiving if I have mistakes. What is something you're in the mood to make these days? Those are adorable! I can't wait to find out how difficult you think they were. I know Lindsay would LOVE for me to try to make some of these. I thought about sending you a message yesterday to tell you to be proud of me...I tried my hand at piping a throw pillow (not ready-made piping...I actually covered it myself). Not so easy, and it didn't turn out right the first time (I got in a hurry). I am definitely trying it again...very tedious work. Good luck with your new project! I tried sewing, but didn't like bleeding from finger holes all the time. I wrote a new post, and tagged you in it. Hope you participate, would be wonderful to learn more about you! I would love a pair of those shorts! In that fabric! However, I'm in the process of trying to find the courage to start some roman shades for our church nursery. I just can't convince myself that I can do it! Have you ever made them before?